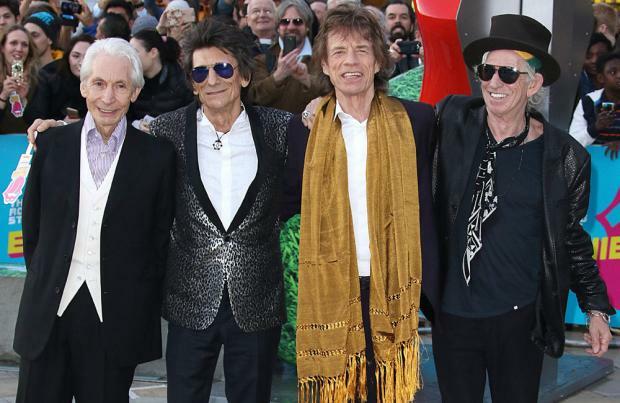 The Rolling Stones plan to spend time "honing" the tracks they have for their next album after their tour. The 'Satisfaction' rockers have been working in the recording studio on their first record of original material since 2005's 'A Bigger Bang', and after their upcoming stadium tour, which wraps on June 25 in Chicago, they will come together to finish off the record. Guitarist Keith Richards said: "Sometimes it's not as much writing as listening to what's been written and figuring it out, and honing and all kinds of stuff. "It's very boring. It's like a carpentry shop." The 75-year-old rocker – who is joined by Sir Mick Jagger, Ronnie Wood and Charlie Watts in the iconic group – also opened about touring for more than five decades and how the band won't stop performing whilst all of them are still fit and wanting to play shows. He told Rolling Stone magazine: "I mean, hey, how bad can it be? "You get up there and do what you love to do, and fortunately so do millions of others. "It's not something to turn your nose up at, you know. "And it's what I do. It's the way the band feels. "You can only do this if everybody is absolutely on. "And the fact they all are is an incredible tribute to the lads. They just want to do it. "I think it's also, how can you stop? Because I think it has to be written in a different way, whatever the ending is." Keith's album update comes after he claimed the record is in the "early stages" in November, and wouldn't be in their fans' hands until the end of 2019. He said: "Mick [Jagger] and I got together for a few days a month or so ago in the studio, just playing around. Apart from that, there might be a session sometime in December, but I'm not crossing my fingers on that. "It was [a] great [session], man. We knocked out a few songs together with [producer] Don Was. We're just working things through. We had a great time – got some nice stuff out of it." Asked if he knows when the record will be released, he added: "Oh man, no. Like I say, early stages. I would say if I'm looking at it, we're going to do this tour, so maybe this time next year, I would say. Maybe. That looks like a reasonable projection."